Scientists report the successful creation of patient-specific human embryonic stem cells with just an egg cell and a skin sample through a technique called somatic cell nuclear transfer (SCNT). NYSCF celebrates this major advance for the field that we anticipate will lead to advancements in uncovering new disease mechanisms and to personalized treatments and cures for disease. 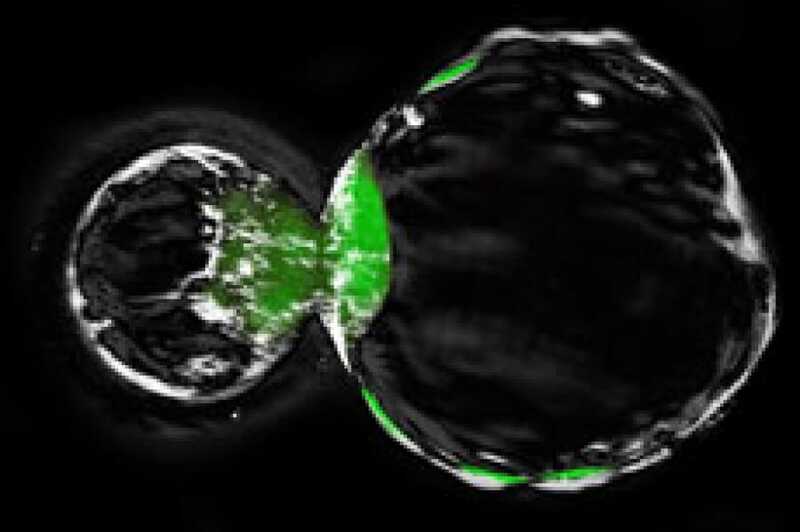 Researchers, including a group at NYSCF, have conducted research to transfer the gene-containing nucleus of an adult cell into an egg cell to generate an early-stage embryo, called a blastocyst, and then derive stem cell lines. In 2011, NYSCF scientists paved the way for this discovery and achieved the proof-of-concept: Dieter Egli, PhD, and his team derived the first-ever stem cell lines through this method, yet the cells were triploid, containing an extra set of chromosomes. To generate stem cell lines with only two sets of chromosomes, Shoukhrat Mitalipov, PhD, and his team at the Oregon Health and Science University first optimized the SCNT protocol in nonhuman primate cells. Selecting previously successful techniques, the scientists promoted blastocyst development by exposing the egg cells to both an electrical pulse and caffeine. They procured several lines of nuclear transfer embryonic stem cells (NT-ESCs). Then translated to human cells, the group extended their approach across several egg donors with skin cells taken from a patient with Leigh syndrome (a lethal mitochondrial disease). The resultant NT-ESCs were fully pluripotent, meaning that they could become any of the other cell types that compose the body, contained the correct chromosome count, and lacked mitochondrial DNA of the skin cells. NT-ESCs confer several advantages over other pluripotent stem cell sources. They, unlike embryonic stem cells, are patient-specific, and they carry fewer, potentially dangerous genetic changes than induced pluripotent stem cells, or cells derived from other adult cell types like skin. Importantly for cell therapies, NT-ESCs can be employed irrespective of a donor’s mitochondrial DNA. NYSCF, one of the only research institutes in the country involved in this line of research, looks forward to the potential this technique holds develop cures and treatments for patients suffering from diseases.